It seems like everyone is throwing a party for something these days. Whether it's a birthday party for a friend or graduation bash for a close cousin, making your party stand out in the minds of guests in attendance can be difficult. If you want to give your party some magical flare then you may want to think about picking up the unicorn shot glass. Guests will feel whimsical when wetting their whistle using a shot glass filled to the brim with their favorite liquor, especially one featuring many majestic horned creatures. Remember, no matter how many shots you take from this unique shot glass, keep in mind that growing wings and taking flight like a unicorn isn't a possibility. This shot glass holds 1.5 fl. ounces of your favorite alcoholic beverage. 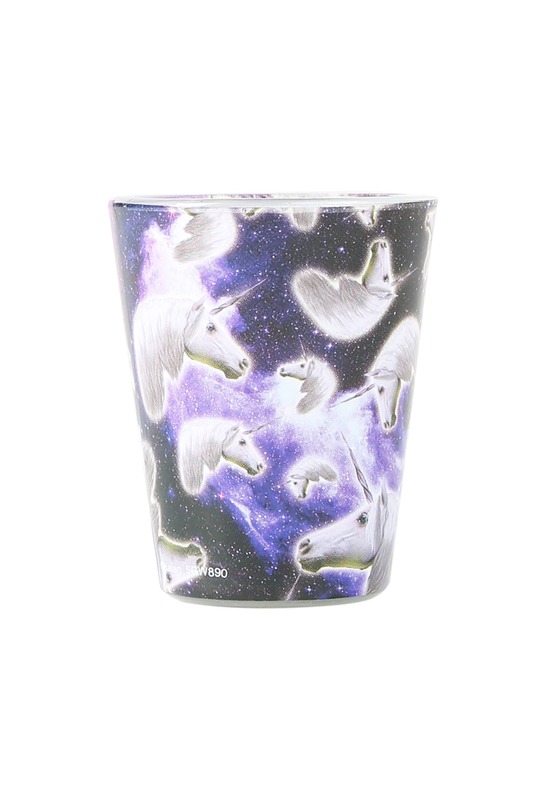 It will also stand out from other shot glasses in your collection because it features numerous all-white unicorns atop a starry galaxy background. Looking for a unique party theme to celebrate your special day? Our suggestion is to have a unicorn themed party. Pass out glittery horns and serve rainbow cupcakes.